D.C. Circuit greenlights DEA's business as usual in maintaining marijuana as a useless drug | Jon Katz, P.C. By now, scientists and physicians examining medications know that marijuana is effective and relatively safe medication. However, marijuana has been politicized into the criminal realm for over seventy years in the United States, listed as a Schedule I drug, meaning that it has no beneficial medical uses. Whether or not the federal demonization of marijuana has been influenced by a desire to fatten drug companies’ and synthetic material companies’ wallets — as urged by the late Jack Herer (whom I liked very much when I met him a couple of times in the early Nineties) and many others — the drug companies do in fact benefit from marijuana’s remaining criminalized, because nobody needs to go to a pharmacy to use marijuana, rather than to just grow it in the backyard or with hydroponics. The vast majority of people today have lived in a society where it is a given that marijuana is illegal, at least until Colorado and Washington legalized it for personal possession, and over a dozen states legalized it for medicine. Progress marches on, but too slowly for legalizing marijuana. State laws legalizing marijuana for medicinal use, and legalizing and decriminalizing personal possession of marijuana recognize that the Schedule I moniker makes no sense. Emeritus Harvard medical school professor Lester Grinspoon points out that FDA approval of new drugs costs at least $200 million by the applicant. Absent a billionaire donor coming forward, such study will not be done with marijuana, and we will be left with anecdotal evidence, Grinspoon points out, to demonstrate the medical benefits and limited harm of marijuana. 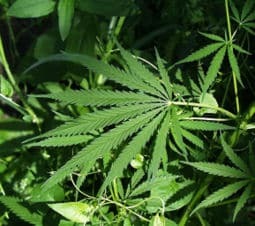 A group of pro-marijuana activists recently petitioned the U.S. Drug Enforcement Administration to re-open consideration of rescheduling marijuana down from Schedule I. The DEA declined, and the U.S. Court of Appeals for the D.C. Circuit this week ruled that the DEA was within the law in so ruling. Americans for Safe Access, et al., v. DEA, ___ F.3d ___ (D.C. Cir., Jan. 22, 2013). Consequently, with the DEA’s foregoing position and with the Obama Administration’s continuing zealous prosecution even against marijuana cultivators and sellers for medicinal purposes where their activities are legal under the law of the states where they operate, we must continue to push beyond the court system to legalize marijuana for medicine, for personal use, and for all other purposes.